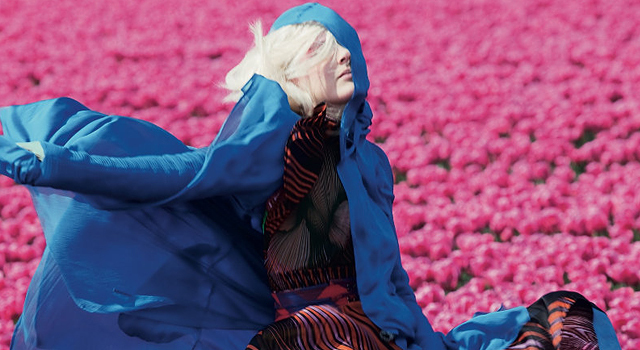 Viviane Sassen’s latest work in the July issue of Dazed & Confused really caught my eye. The photographs are so surreal and colorful, with vivid floral backdrops and gorgeously, psychedelically layered ensembles styled by Katie Shillingford. Model Lisanne de Jong’s dynamic movements are captivating as well.